A loan of $1,000 helped to buy equipment and supplies for her family's farming business. Maria, 60, left school after the second grade. She is married now and has 7 children, only one of whom still lives at home. She operates a business making tamales and bread and sells what she makes around her neighborhood. She also tends cattle and sells the milk they produce. Her husband and son help her with the businesses. Maria is applying for a loan that she will use to buy a cow and animal feed. The investment will help her to improve the quality of the milk the cows produce. She has borrowed from us to support her businesses 7 times before and all her previous loans have been repaid. When we asked her about her hopes for the future, she told us that she wants to expand her cattle business and ensure a steady income for her family. Translated from Spanish by Kiva volunteer Jere Wiseman. View original language description. María tiene 60 años de edad, estudió hasta segundo grado en la escuela, está casada y solo uno de sus 7 hijos vive con ella. María, se dedica a la elaboración de tamales de maíz y pan los cuales sale a vender en su comunidad. Además, cuida ganado y procesa la leche que le proveen sus animales para vender lácteos. Su esposo e hijo le ayudan en esta labor. María, necesita un préstamo para comprar una vaca y concentrado para alimentarla para aprovechar la leche y vender lácteos. Ella ha sido apoyada con 7 préstamos con los cuales ha podido continuar con su negocio y ya terminó de pagarlos. Ella sueña con tener mucho ganado, generar ingresas para el bienestar de su familia y pagar puntual la deuda. It helps people older than 60 who still have the capacity to work but no financing. This loan is designed to provide growth opportunities to elderly people. People 60 years old and older in El Salvador have limited access to credit, even when fully physically and mentally capable of working. The reason is insurance companies don’t cover people who are over 65 and require them to show a health certificate if they are over 60. This potential for health expenses makes financial institutions less willing to take on the risk of the loan. 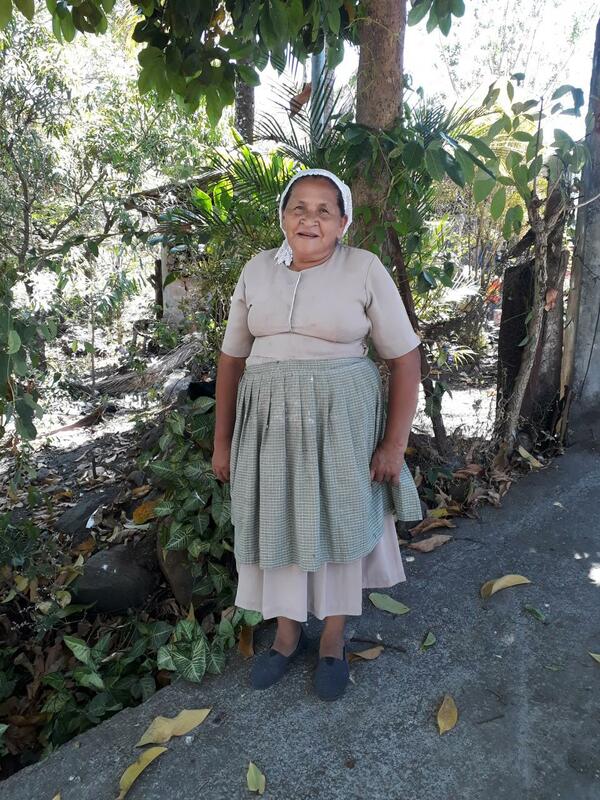 By funding this loan, you are helping elderly people access opportunities in El Salvador.